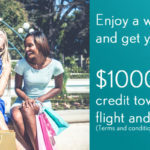 How to Replace a Missing Tooth within the Same Day | Smile Angels of Beverly Hills - Bruce Vafa DDS. Lost a tooth? You don’t need to end the day with a gap weighing on your mind, so long as the condition of your gums, other teeth, and jaws support immediate treatment. Let’s take a closer look at what you need to know about same-day replacement. First, let’s say that yes, you can definitely replace a missing tooth on the same day you lost it. Whether you knew the loss was coming or it hit you as a complete surprise, there’s a good chance a temp replacement can be in place before you show up to work, school, or your blind date the next day. What’s important are the specific circumstances of your lost tooth. First and foremost, the bone which supported the lost tooth needs to be still intact, suitable for implants, and healthy. Second, the gums must be infection-free. 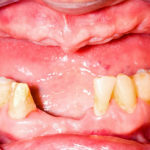 Other complications may also impact the viability of same-day implants, such as other health problems, the locations or conditions of adjacent teeth, etc. Once you’ve cleared those hurdles, however, it’s quite possible to rapidly install an implant and put a temporary head in place to repair your smile. A titanium post is installed into the implant, leaving an exposed anchor point above your gumline. A temporary crown is affixed to the titanium post. This temporary crown is created using in-office scanning equipment and computed tomography to quickly and accurately create a prosthetic suitable to your mouth. You won’t be walking out completely done with the implant process, but your smile will look complete—no one will know you’ve lost a tooth, even if it’s in a prominent place in your smile. The crown placed on your implant in a same-day treatment will rarely be a perfect or ideal final crown, so you’ll need to schedule a follow-up to install a more permanent solution. A permanent crown will be designed to last significantly longer, be better customized to fit your implant and the adjoining teeth, etc. When your implant is fully healed and the permanent crown installed, you’ll notice very little practical difference between the prosthetic and your original tooth—and to other people, there will be no difference at all. 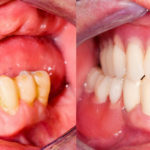 Immediate treatment minimizes the risk of complications due to the absence of your tooth, which can in turn save you a large amount of headache, health risk, and expense. The opening left by a lost tooth can quickly give way to expensive complications, encourage the loss of bone mass in your jaw which is crucial to implants, etc. 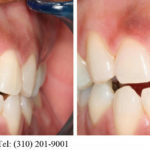 To find out more about same-day tooth replacement via implant, contact Smile Angels of Beverly Hills, so we can will help you figure out the best solution for your missing tooth or teeth.